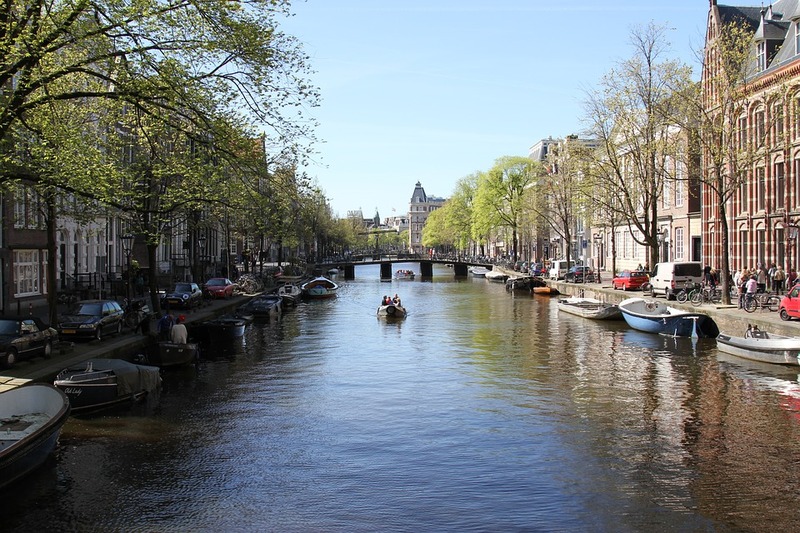 Amsterdam as we know it today, was born from the actions of a small group of fisherman back in the 12th Century, who decided to erect a bridge across a waterway, known as the IJ. They built wooden structures under the bridge to act as a dam and protect the river banks from rising tide waters. The resulting harbour became an important port of call of traders and sailing merchant ships. 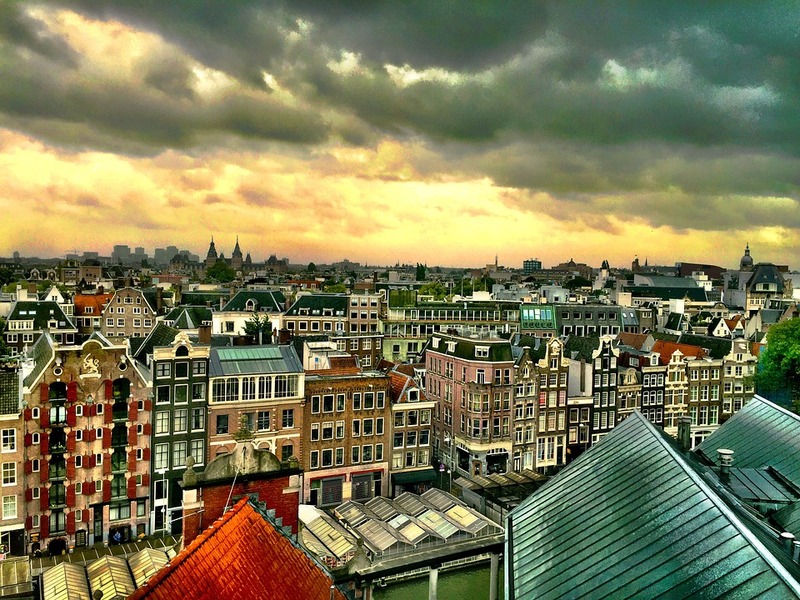 By the 15th century, Amsterdam had become the most important trading city in Holland and thrived with an influx of pilgrims, who boosted the population and brought new skills to the area. In 1602, the Dutch East India Company was founded, the world’s first multi-national company. Trade with the Dutch East Indies saw Amsterdam become the foremost trader in world spices. During the 16th Century, Amsterdam saw a large influx of immigrants, fleeing the religious wars in Europe. In Amsterdam they found a home where they would not be punished for their beliefs, and many wealthy Portuguese and Spanish merchants and businessmen, made their home here. This led to the, now famous, 17th Century Golden Age, which saw ships arrive from all over the world, and Amsterdam’s merchants sailed the seas, discovering new countries with which to trade and colonize. As a result, Amsterdam inevitably expanded, and new houses were built along the many canals, stretching the City’s borders to encompass a much larger area. Immigrants from other countries, including France and Germany, flooded to the area to participate towards the growing financial economy. Schools, hospitals, churches and public buildings were invested in, and architecture took on a distinctive, flamboyant form. Art and culture also started to flourish during this time. But nothing this good lasts for long, and by the early 19th Century, the wealth and resources of the City had dramatically declined, mainly due to the effects of the Napoleonic Wars and plague, which saw an exodus of inhabitants, trying to escape to safer climes. Traders and shipping merchants too started to avoid the City, fearing for their own safety. But at the end of the 19th century, prospects started to improve. The Industrial Revolution saw the formation of a new connection to the rest of Europe, by way of the Amsterdam-Rhine canal and the North Sea Canal which provided direct access to the Rhine and the North Sea. As the economy grew, so did the population and the City’s amenities. New buildings, museums and art houses grew up alongside the now bustling canal side businesses. The City’s Central Station was built, as well as the famous Concertgebouw. During the 20th Century, Amsterdam’s landscape was to change once again. At the beginning of the Century, Schiphol Airport was built, home to the Dutch airline KLM. But prosperity was short lived as Europe was ravaged by War. No greater catastrophe befell Amsterdam than the arrival of the German Nazis during World War 2. Much of the population at this time was Jewish and the Nazis deportation and annihilation of this section of the population had devastating effects on the city’s wealth and infrastructure. The diamond business which had been one of the mainstays of the Dutch economy until now, was no more, and over 100,000 of Amsterdam’s inhabitants disappeared during this time, most placed in concentration camps. During the 1960’s and 70’s, the Amsterdam that we know today started to appear. A cultural revolution produced a population of free thinking, free living individuals, and an atmosphere of “anything goes” pervaded the city. But the down side of this movement was that it attracted many individuals who behaved in an anarchic way, and riots and police battles were common during this 1990’s. Racial hatred also reared its head during this time, inevitable as the City was mostly populated by immigrants. By the early 21st Century though, an atmosphere of tolerance and acceptance started to take hold and formed the basis of a society which was to find its success in allowing free spirit, discussion and discourse to lead the way, both culturally and economically. People from all over the world now live and work in the City, making it one of the richest cultural environments in the world today.